Memory Boy — The undeniable bloodline the same warm analog delay and seductive modulations of its legendary ancestors. 550 ms of superior delay coupled with a sweet chorus and vibrato maintain their organic quality on stage or in the studio. The classic EH analog delay carries on the family tradition at a musician friendly price — Check for price. Deluxe Memory Boy — The latest in the proud heritage of EH analog delays. Tap tempo delivers a magnificent “human lock” letting you stay in sync with the groove. The effects loop provides synchronous animation that redefines pedalboard flexibility. Expression pedal input offers added control over every key performance parameter. This locked and loaded prodigy carries its lineage proudly! — Check for price. Memory Toy — Pure and simple analog delay for musicians who covert a thick sound from a thin wallet. 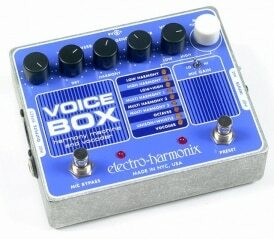 Offering up to 550 ms of delay time and a sweet selectable chorus, this “toy” is a powerful tool with world class tone. Inheriting all of the family jewels, the Memory Toy will soon be one of your most prized possessions. — Check for price. 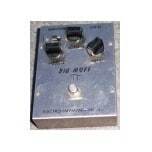 The original Deluxe Memory Man is considered to be the finest analog delay ever designed. Organic and musical, it has been used by rock and Roll legends and countless musicians since its introduction in 1978. With the desire to make a flawless and smooth transition, Electro-Harmonix proudly announces the “new” Deluxe Memory Man in our rugged and pedal board friendly die-cast enclosure. THE ELECTRO-HARMONIX BIG MUFF Pi will always reign as one of the top-10 distortion pedals of all time, but many metal players find it is too limited to dial in modern tones, and they want more versatility than its early Seventies circuit can provide. With the Metal Muff, Electro-Harmonix has finally made a stomp box designed specifically for the metal masses. Offering tons of gain, flexible multiband EQ and a top-boost circuit, the Metal Muff can generate a wide variety of distortion tones-from the deepest, darkest depths of gloom to razor-sharp timbres-capable of shredding ears. Housed, appropriately, in a black metal case built to withstand nuclear war, the Metal Muff lays out all of its controls and features in plain view on the front panel. Controls are arranged as follows: volume, top boost, treble, mid, bass and distortion. Two heavy-duty footswitches at the lower right and left corners engage bypass and top boost functions, respectively, and feature blood-red LED indicators. A mono input is on the pedal’s right side, output jacks are located on its left, and a jack for an optional nine-volt adapter is situated on the top side. The EQ bands are voiced perfectly for metal, providing everything from blacker-than- Sabbath crunch to the most lethal scooped mids this side of a graphic EQ. The top-boost function, which is active only when the boost switch is engaged, is great for making solos cut through a dense mix, but unless you’re playing an extremely dark-sounding guitar through a dull-sounding amp, you’ll probably want to keep the knob rolled down to avoid overly shrill, harsh tones. Metal players can now raise hell to their heart’s content with the Metal Muff. It may generate a wide variety of heavy tones, but fortunately, its price is light on your wallet. The unique Top Boost knob allows you to dial in frequencies that center between 3.5 kHz and 4.3 kHz. Add to the edge of a solo or define a powerful rhythm with a single touch of the Metal Muff’s dedicated Top Boost footswitch. Treble has +10dB of gain centered around 1.2 kHz. Output volume has a full +18dB of gain. All controls were designed to interact together for maximum cutting edge and a uniquely powerful distortion.